I started Personal Training with 365Motivate as I struggled to maintain a gym membership for more than a couple of months or stick with any classes. 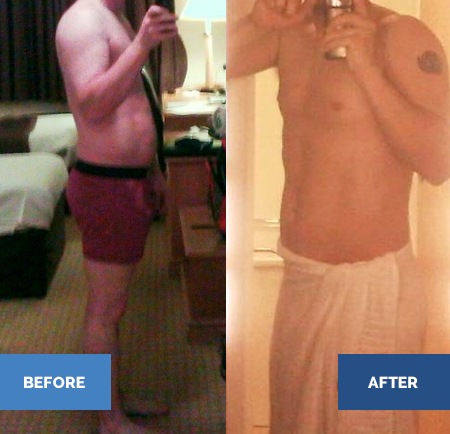 My main goal when I started was to increase my general fitness and wellbeing. After 5 months of Personal Training once per week with Lucy, I lost 9lbs and dropped 3 inches from my waist. I really enjoyed training because Lucy changed all the workouts so that they didn’t get repetitive. My strength massively increased, I can now squat 60kg and complete 10 minutes circuits – Something that I could not do when I started. I really liked trying different foods and eating better. I now feel like I have a much healthier diet. Training has also increased my confidence – I have noticed that I have a much better posture and presence. Overall, I achieved a much better result than I thought was possible training with 365Motivate.